Kopyov, when the update will be published? I am also waiting for your update. Then I will purchase the template. Great template, but i’m wrestling for a few days to get nice looking edit/delete button in the dynamic table ( behind each row), and an add button on top of the table. This add/edit/ delete is actually a must have for my web app. This is an adorable template, nice work! Contact list is not compatible with IE 9 .0.3. I like the font but it’s not same on IE 9 .0.3. I hope you will find a way to fix it. It doesn’t work. There is a dependency between charts. I spent a few hours to solve that but no luck. What I want to achieve is putting CPU and Memory usage on panel. I can fill 10 data/value into text file but how can I fetch that from that text file? Is that possible to write an example for CPU graph same as “autoUpdate” version? CPU fetch interval is 5 minutes. But I don’t want to use JSON to get text file. There will be a background job to update text file. If user refresh charts.html page, it will get values again from text file. Double checked in IE 9 .0.8 (latest one), everything works fine. During development i oriented to the latest version of IE. But i’ll find the way to check it for IE 9 .0.3. The only thing i missed is letter navigation of the contact list, i’ll fix it in the next update. 1. Contact list is fully compatible with the latest browser versions 2. My bad. Quick fix – find ”.dataTables_wrapper” in “datatable.css” and remove min-height. Also will include this fix in the next update 3. Again, in the latest version font replacement works fine. If you’re removing the first chart, remove also its parameters in custom.js file or simply move chart settings to a separated .js file. If you want to keep only auto updating chart, remove all the others parameters and keep only one you need. Is that possible to give a date for update? I’ve downloaded recent update but it doesn’t cover font fix. Also I’ve removed min-height and it works, thanks. BTW , my IE version is 9.0.8. Only issue is letter navigation on contact list. Yes, it doesn’t cover font fix, because i didn’t see this issue, in IE 9 ,.0.0 everything works correctly. Don’t know, i think maximum 2 weeks, holidays. Liquid layout is in process, then responsive and then i’ll upload it. Hi Kopyov, I like this theme so much. but it would be more nice if you put “lightbox” function on gallery and full screen layout. Then i will buy this theme soon. good work! Hello Kopyov, This is great template, i have purchased today. I have one question: Top drop-down menu that shows on a click,but how hide clicks anywhere on the document? Can you suggest any areas where a liquid layout will require JS/HTML changes? I have to go liquid for this project but I’m going to be using your theme in my application prototype because it’s perfect. I have no problem making any layout changes but I don’t want my client to find any surprises for things I haven’t thought to test. If you can think of anything that may not work nicely please let me know. I am working now on liquid layout, i think it will be ready max in 10 days so you can wait a bit. I’ll wait for your implementation which will be awesome, but in the meantime I am still going to provide a prototype to my client which will not include any charts, so I’m feeling pretty safe. Thanks for the advice on flot. Good job on this theme too, It’s good to work with. As an aside, I look forward to more of your Admin Themes in the future, this is absolute gold! Oh, I’m working for a client who bought it from you! Great work by the way. I’m working on the charts. I checked your examples and flot examples, but they all have static values. I need to get them from another text file. I can get data from txt file with the code above. Also I need to create array from cpumonitor.txt file to use it in flot. I’ll be glad if you give me some clue. Hi! First of all, great Theme! I tried to look for the code of , but i couldn’t find. Could you put it here? Hi. What exactly you can’t find? I did some .net script to update flot values automatically. Now i can fetch values from external source and graphs are fine. I just want to inform about Wizard. Autogrow textarea and select with/without scroll couldn’t extend Wizard area and becomes invisible. Is that possible to publish a quick fix? Could not put dropdown menu instead of Step1. 3 steps wizard gradient doesn’t extend to right end. 1. What do you mean to put dropdown instead of step 1? Instead of title? I mean, if I put dropdown menu to Step1, it works like capture01.png. But if I put it on Step2, Step3 etc it comes empty like capture02z.png. 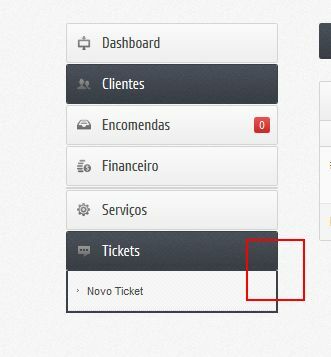 So your dropdown will be visible. I must admit that this is really cool! Amazing theme! Very easy to configure and adapt. Sincere thanks to the author! We wait for the liquid version, amazing theme! Congratulations to the author! Perfect the liquid version! When will be compatible for iPhone and iPad? Great theme! What was needed. Just today, thought about the liquid form, as it already is! waiting for update. Best 20 bucks i spent =) Tak derjat’ uda4i!